The usual suspects have issued yet another “myth-busting” video in their continuing attempt to flog the dead horse of catastrophic Caucasian-caused climate change (CCCCC). This latest droopy me-too effort is at sciencealert.com.au/features/20142309-26219.html. Here are the main points in bold face. Science-based responses are in Roman face. “Overall, temperatures are increasing”. This statement is unscientific because the starting and ending dates are not specified. Temperature has declined since the Holocene Climate Optimum 6000-10,000 years ago. The Old Kingdom, Minoan, Roman, and medieval warm periods were also warmer than the present. 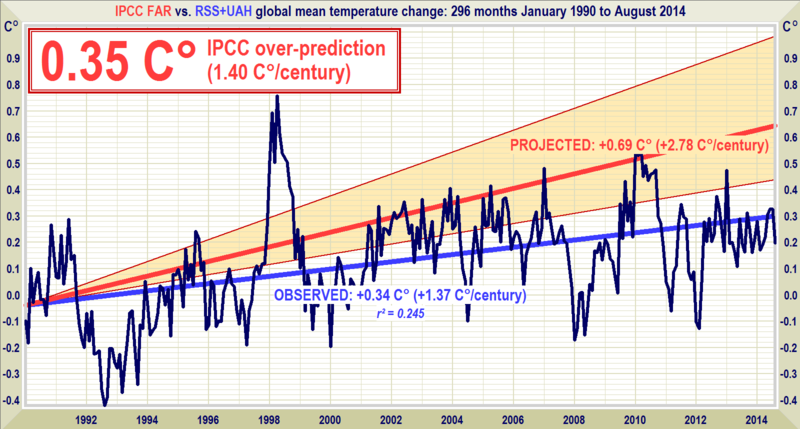 Since 1950 there has been warming, but at only half the rate predicted by the IPCC in 1990. 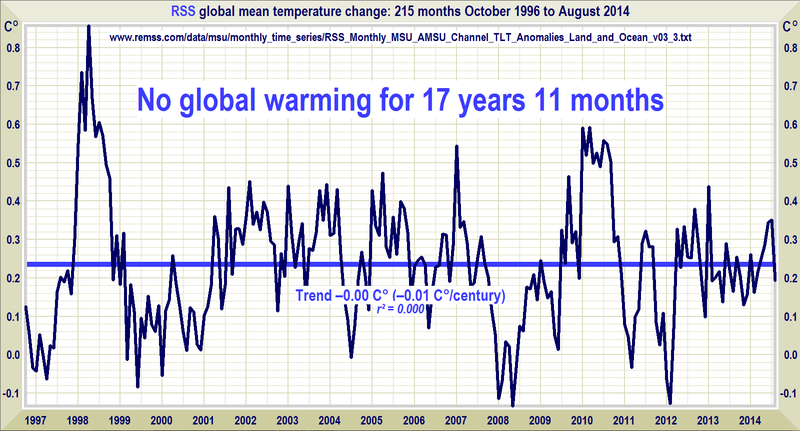 In the 17 years 11 months from October 1996 to August 2014 there was no global warming at all, according to the RSS satellite dataset, whose output is not significantly different from that of any other global-temperature dataset. “Storms, droughts, floods, ocean acidification, sea-level rise”: The usual litany. As for storminess, the trend in severe hurricanes, typhoons and tropical cyclones has been downward in recent decades; there has been no trend in landfalling Atlantic hurricanes for 150 years; and the U.S. has enjoyed its longest period without a major hurricane landfall since records began. There is no trend in extra-tropical storminess either, according to the IPCC’s special report on extreme weather. 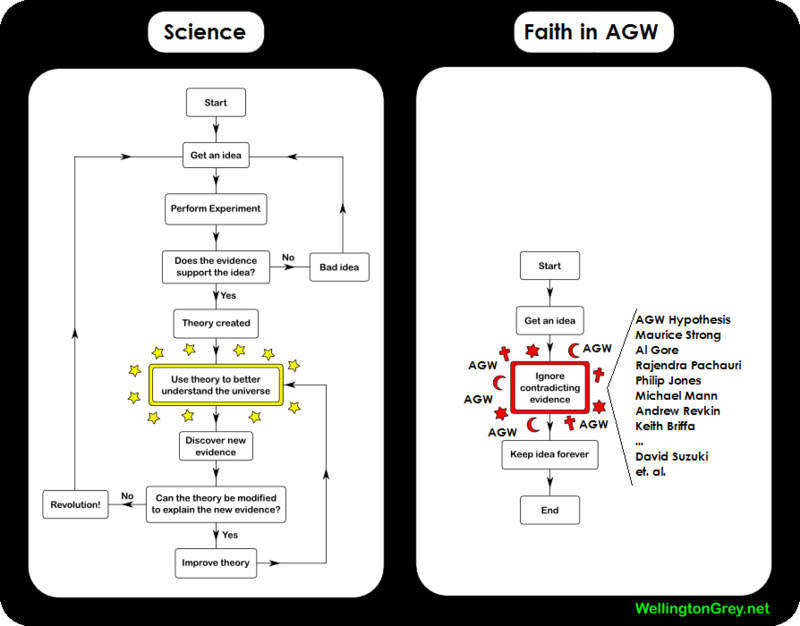 CAGW is therefor automatically falsified by the rules of the Scientific Method. Bam. Time to end your beliefs about co2 doomsday. The science for CAGW just isn’t supportable and has now been utterly demolished. Canada Hit By NASA Satellite? NASA To Be Hit By Littering Bill From Canada? Update 4: It seems that none of the following can be substantiated. Initial data are often wrong. Canada again. What are we a friendly target or what? Looks like Alberta near Calgary. Let’s see 26+ counts of littering. This video seems to be showing the satellite broken up and reentering and burning up above Alberta. It doesn’t show any coming down crashing into Alberta. Update 1: It looks like the satellite passed over Alberta on it’s way to the Pacific Ocean splash down. 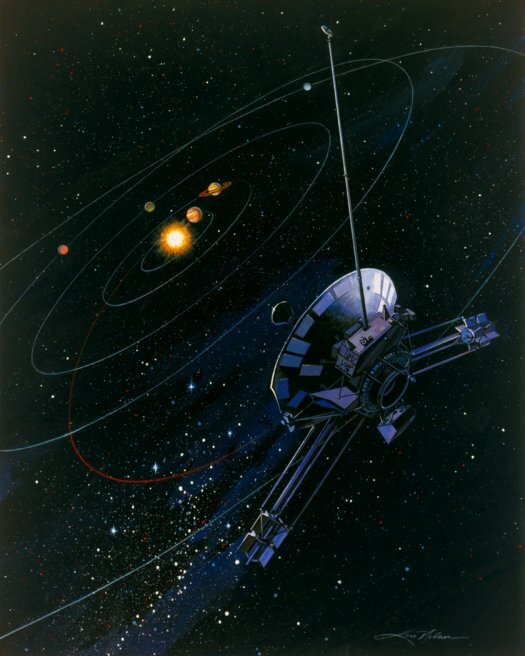 Jonathan McDowell of the Harvard-Smithsonian Center for Astrophysics said the spacecraft entered the atmosphere around 12:15 a.m. EDT over the coast of Washington. He said much of the debris likely fell over the Pacific Ocean, though its trajectory suggests some of it could have fallen over more heavily populated areas in the U.S. and Canada, including Portland, Ore.; Seattle; Calgary, Alberta; and Saskatoon, Saskatchewan. “Pieces are falling off of this flaming fire ball, and some of it has enough momentum to go hundreds of miles,” he said. Cole said that was possible because the last track for the satellite included Canada, starting north of Seattle and then in a large arc north then south. From there, the track continued through the Atlantic south toward Africa, but it was unlikely the satellite got that far if it started falling over the Pacific. Cole said NASA was hoping for more details from the Air Force, which was responsible for tracking debris. But given where the satellite may have fallen, officials may never quite know precisely. “Most space debris is in the ocean. It’ll be hard to confirm,” Cole said. Some 26 pieces of the satellite representing 1,200 pounds of heavy metal had been expected to rain down somewhere. The biggest surviving chunk should be no more than 300 pounds. Update 2 Could it be that the video is a hoax. It looks impressive however… possibly the video is real but the reports of the debris landing in Alberta are the hoax. 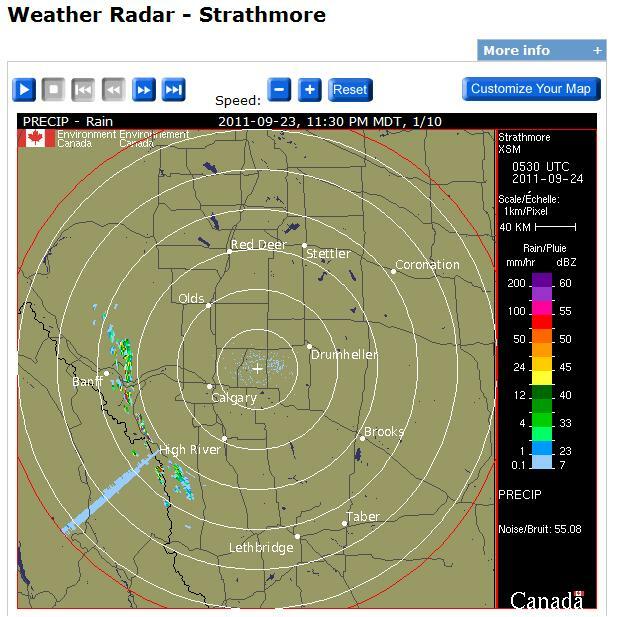 Last night there was a report of long streaks on the Environment Canada Radar in the Calgary area. Here is a image I captured from their site. Unfortunately only one frame of the radar had the streak on it. I don’t know if the direction is wrong. I don’t know if the radar would see the satellite pieces either. They’d have to be within the radar’s range which I don’t know the parameters of, especially the full extent of the vertical range. The time seems wrong though showing 11:30pm MDT in the Weather Radar image and the satellite “fell back to Earth between 11:23 p.m. EDT Friday, Sept. 23, and 1:09 a.m. EDT Sept. 24.” Since “Mountain Time (Canada) (Daylight Savings) is 2 hours behind Eastern Time (Canada) (Daylight Savings)” that means that 9:23 pm MDT to 11:09pm MDT is the time period of the reentry. Maybe it could have been delayed and come in just after Nasa’s estimated window? Hmmmm… don’t know at this point. Well the Google Map of Okotoks, Alberta puts it in the weather radar zone between High River and Calgary right under the path in the radar image, so maybe this was the satellite captured on the radar? It’s in the same area anyway. Nick Johnson, chief scientist with NASA’s Orbital Debris Program at the Johnson Space Center in Houston, says the space agency has received “no credible” reports of observers seeing the UARS re-entry. Officials think the satellite most likely fell into atmosphere over the open Pacific Ocean around 12 a.m. EDT (0400 GMT) and the surviving debris would have landed in the sea before reaching North America.” – SpaceFlightNow.com. While part of Professor Muller’s video takes the Team (Mann, Briffa, Jones, Wahl, et. al.) to task for stuff you can’t do in science, the longer version makes it clear that the Professor is biased towards the Catastrophic AGW hypothesis claims. Unfortunately the Professor doesn’t explain the reasoning behind his claims or his support for the CAGW claims. The extract from the longer talk with Professor Muller taking the Team to task for what you can’t do in science and rebuking them by asserting that he now has a list of people whose papers he won’t read anymore. Ouch, cast them out of the science club. Three cheers for professor Muller for standing up for scientific integrity. Soothsaying Hot Doomsday Futures is all the rage. Yikes, start packing for doomsday for the soothsayers are out and about using The Force to intensify propaganda after their self inflicted Climate Gate revelations of their Alarmist Scientist Core Cult members improprieties. Pack light though, it’s going to be a scorcher, allegedly. Hawaii at the North Pole. I really am beginning to wonder if all these alarmist scientists are just rapture christians firing things up for the coming end times? Nostradamus still beats any climate scientist with soothsaying doomsday predictions. Hands down, and he’s been dead a long time. Now how can that be? Let’s explore the science that prevents predictions of complex systems. Christopher Monckton FREELY discussing his Hitler Youth comment when randomly approached and interviewed by a stranger. 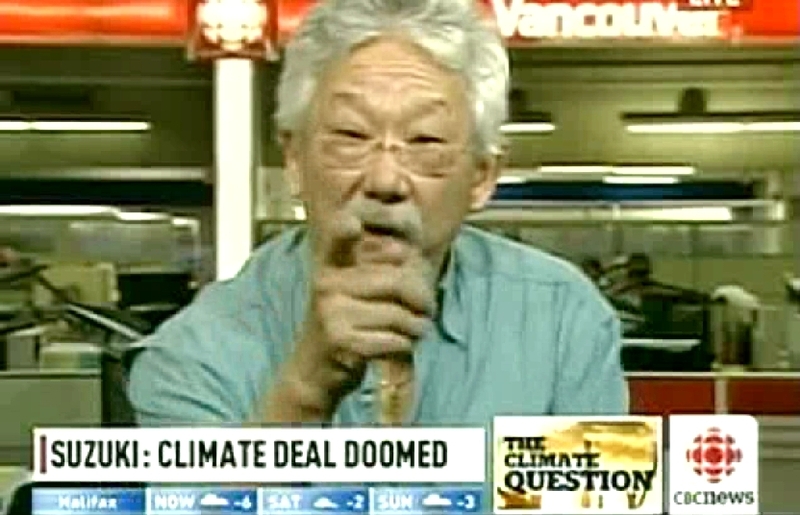 David Suzuki interviewed by Canada’s CBC Power and Politics host Evan Solomon. Wow, epic rant there David! With “beliefs” like you have David Suzuki no wonder you’re freaking out epic! Slooow down. Don’t panic! Check the science dude. Now we break net and bring you to backwards world where protesters FOR AGW are fighting with the police out side of the Copenhagen climate change meeting followed quickly by the epic rant of Suzuki! The question is what is the science? How do you separate the wheat from the chaff? What happens when the data can’t be trusted due to the games that the alleged scientists involved played with it? The climate debate seems to be less and less about the science than it does to be about people’s internal mental representation of their “beliefs” about the science that they “trust”. Christopher Monckton proves to be an amazing interviewer. In the ideals of science “belief” and “trust” have no place as anyone would be able to “replicate” the science claims of any hypothesis on their own at any time. For some hard sciences this is possible, for example with Newton’s gravity hypothesis just about anyone can do the experiments to confirm or refute the claims. Of course to test Einstein’s claims takes a bit more work and a lot more understanding as to grasp Relativity takes deeper comprehension. What I wonder about is how can someone grasp what is going on in the global warming climate change debates without bring trust and belief into it? Is it even possible? Many people I talk to find it difficult to accept that the raw temperature data from the scientists that collect it could be untrustworthy due to sloppy science or due to deliberate manipulation. They think that one couldn’t get away with it. Again it comes down to trust. It seems that “trust” is replete with “belief and confidence being placed in” others. Here in lies the problem with such a complex discussion about climate science. It is complex and most people tune out when the math gets mentioned. As a result of eyes glazing over they revert to the basic human feeling of trusting another, often trusting the “experts with authority”. I suspect that in the global warming climate debates most people suffer from the belief stricken false argument of appealing to authority since they can’t deal with or won’t deal with the science involved. Part of the reason is that people often want to simplify by distilling the options down to a simple decision. They don’t want to have to evaluate the thousands of details involved as it takes a considerable amount of time to comprehend each new detail. I started this blog after a year or so following the debate. What happened was enlightening to me that the facade of “the truth as known by the consensus popular view of science” on many topics was shattered when I asked a couple of questions. It turned out that I simply wanted to comprehend the basic science behind the claims of man made global warming climate change. As someone dedicated to life long learning and a deep interest in science, I work as a systems scientist and with complex software and hardware systems, I thought it would be good to learn the basics by asking a few questions. So I was at a science blog and posted a couple of questions about an article that I’d seen come up in a Google search. The article was from a weather man in South America commenting on Darwin’s notes during his long voyage, the comments were about the climate. The article was suggesting that the climate hasn’t really changed all that much since then. Well not knowing the “veracity” of such claims I thought I’d ask a few questions of people who seemed to be knowledgeable about science and climate science. The response was shocking indeed. Very quickly I was vilified for asking questions that hit at the assumption of man made global warming climate change. As I pointed out that they weren’t answering the questions but were simply engaging in ad hominem personal attacks and being unscientific in doing so it escalated to the point where I wasn’t just booted off their forums but was banned and all my comments were deleted in the process. Censorship was at work, and alive and well. At some point I might post the copies of the portions of the conversations from those postings that I had the fortitude to save. In any event the specific details aren’t the main point I’m making with this story of what happened. This applies in science as scientists need – as a result of human biology and in particular as a result of human brain biology – to make a mental map of objective reality. By necessity this map will have its accurate portions and its inaccurate portions and parts everywhere in between. A main challenge in science, other than the complexities of technology and technical or theoretical knowledge, is ensuring that one’s map is accurate in as many places that matter and importantly in as many places as is necessary to support one’s science. The challenge rests is determining what is real in objective reality and what is just (as in only perceived to be) real in one’s map of objective reality. If it’s only real in ones map of objective reality and not actually real in objective reality then what we are dealing with is a belief and not objective reality. In science the resolution of belief verses what is really real is supposed to be what can be proven to be real via tools such as the scientific method which uses experiment and observations to confirm or refute science claims from our maps of reality. Of course even when our maps of objective reality are confirmed to the Nth digit of precision they are still maps, although possibly highly accurate maps, and not objective reality itself. 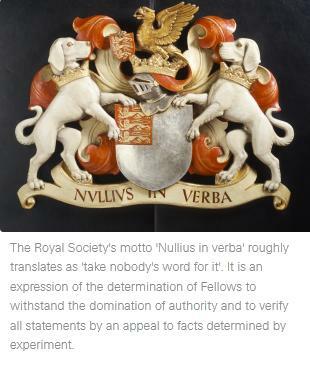 Nature, the mother not the journal, is the final judge in all matters of science – not human judgments, not peer review consensus, not peer review refutations, not our opinions. Nature is the final judge, jury and executioner of all scientific knowledge and for what is real in objective reality. We only need adjust our maps to be as accurate as possible with Nature. This is of course harder said than done. Climate science is one such place where that is particularly difficult due to the high complexity of the many Natural Systems involved. The deep challenge comes in when there are many differing views on what is being observed, theorized and concluded by human scientists. As humans scientists are also fallible. The scientific method and process is supposed to mitigate against this human bias towards our favorite maps of objective reality. As the Climategate emails, documents and programs have confirmed the so called consensus and peer review process and even the very heart of the climate science itself has been deeply compromised. Humans it seems, yes even the previously trusted and venerated Climategate alleged scientists have fallen into the ancient patterns of our ancestors – belief stricken group think, thought control or thought management tactics, and politics. One of the possible outcomes of the Climategate affair is that scientists involved in climate science might start speaking out about how their science research refutes the mainstream group think consensus views. Any scientific hypothesis is supposed to rise or fail based upon the evidence. It’s coming on a year since I started this blog, Paths To Knowledge dot net, and I’ve yet to even begin to scratch the surface of comprehending the many thousands of issues and detailed points in climate science. No wonder the typical person gives up and takes up “trust in authorities”, as it’s a massive challenge just learning the issues let alone the much more difficult challenge in being able to evaluate these issues and make a determination that has anything to actually do with objective reality. Sure it’s easy to make choices and build up a map of the world that one thinks is reality, it’s quite another to be able to build up a map that can withstand the hard objective tests of the scientific method. The more that I learn about the science of climate science the less and less the promoted map of man made global warming climate change makes any sense. Some say there is a mountain of evidence. That may well be, and if so please bring it to me for I can’t see the mountain from where I currently stand. Nature is the final judge of all science. It is not in the minds of men but in Nature where we test the mettle of any scientific claims. In my journey to find out for myself what the actual science says and what the criticisms of that science say I’m not only learning about the climate science and other sciences but I’m learning a lot about human nature and the nature of “belief” and “trust” and “faith” and how these can be seriously dark forces when the masses of humanity take up a mental map of reality that doesn’t correspond to the objective reality of Nature itself. One thing that constantly amazes me when talking to people about the climate is that most people cut off the discussion when it gets too detailed or when a point challenges a “belief” they have about it. For example, many people state that they north polar cap is melting and that that is serious evidence of man made global warming climate change. Ok, I say, what about the observed fact that the amount of ice on Earth is about constant with the southern hemisphere growing in ice about as much as the northern hemisphere loses ice? At this point many people loose their grasp on the conversation when they invoke appeals to authority. This is part of the challenge of science education but even deeper is the problem of how do you teach or educate people about a science that is in flux or that has so much controversy particularly when it’s denied that there is any controversy within the community of authorities on climate science? How do people of reason comprehend the complexities of climate science let alone determine what is real and what is belief stricken dogma or bad science? The interesting thing about belief stricken maps of objective reality is that they die with you while the objective reality of Nature keeps on going regardless of us or how we view it. A real profound question is how are we being in the face of a global pandemic of belief stricken humans who have maps of objective reality that are so far from Nature that it has a serious impact upon society? How does one effectively communicate empowering people to actually grasp and most importantly test the notions of climate science themselves? Is it even possible? Will there always need to be trust and belief involved? How many does it take to shift the paradigm? 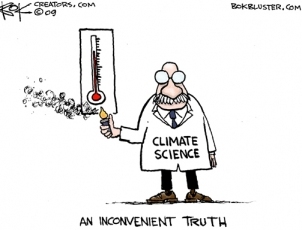 The climategate documents demonstrate that one or a few people dedicated to finding out the scientific truths can make a significant difference to the conversation as well as to the actual science involved. As the political shock waves of Climategate reverberate across the world and in the minds of key decision makers what are the next steps? As I end this first year studying climate science and posting over 400 articles do I have any definitive answers on man made global warming climate science? No, what I’ve seen deeply and profoundly has shaken my own mental maps in the confidence of “science” especially that of what one reads in the popular media and online but even more so of “peer reviewed” articles. I’m much more skeptical of scientific claims in the sense that I’m continuing to ask basic questions of any science that I come across. The spirit of science is to ask questions and is to question all the basic assumptions. The spirit of science education is to allow those questions and to engage with those asking to spread scientific knowledge but also to vet the science. 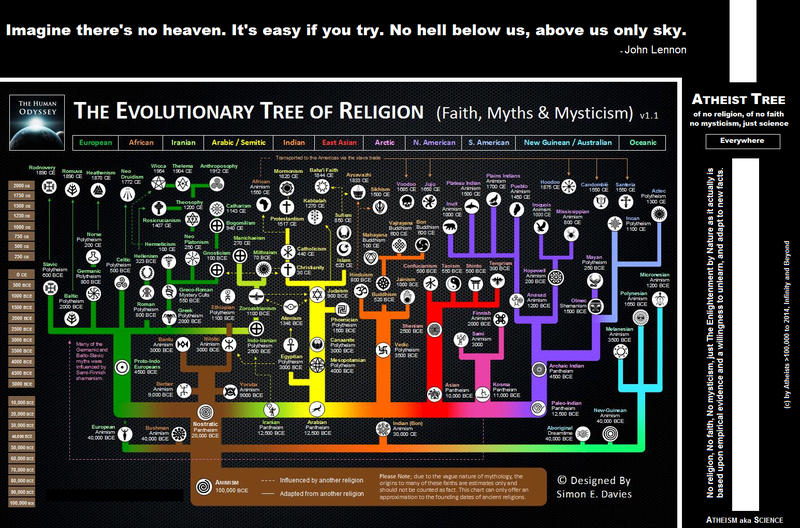 Anything less isn’t science but is something best left to our ancestors in the dark caves of history. The enlightenment faces its greatest challenge, the power of belief, faith, trust and confidence to distort the best mental maps we have of objective reality into political propaganda tools. What ever you do find out the science for yourself from a direct as possible a source. Never believe what science writers or science journalists say as their opinions are very often biased due to their own belief stricken conclusions already made. Be INDEPENDENT! Find out for yourself. The other probably better caution is to not make a decision on man made global warming climate change unless you’ve done extensive research from direct sources and have learned the science and counter science. This point of view is based upon the reality that climate change is a very complex field of science and it’s not easily reducible to platitudes or simplistic beliefs. There are also many social and economic policies now being intertwined with the science mixing up the clarity with their political propaganda messages. Use extreme caution with anyone who says the science is settled or that consensus is science for as we know from basic science philosophy these are never the case as science is always the pursuit of the nature of objective reality. Originally aired on 11/23/09 on BBC. Fred Singer, Research Fellow at the Independent Institute and author of Hot Talk, Cold Science, provides a skeptic’s perspective on global warming and discusses the controversial emails from University of East Anglias Climate Research Unit. The Sun is Failing? Never Fall Back! 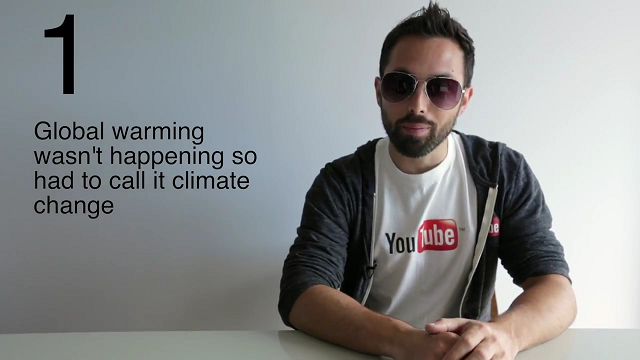 The creativity of videos on Climategate are amazing. What we need is verifiable and auditable open climate science, not points of view by media manipulators. Monckton’s criticisms are valid. 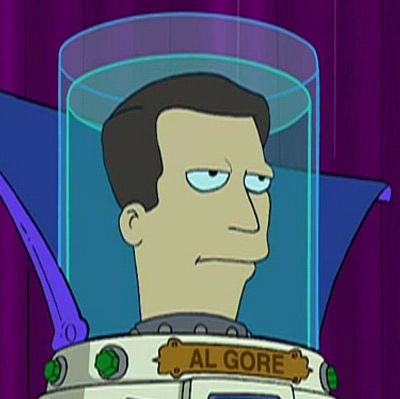 Al Gore is a serious problem for the planet. Phil Jones, alleged scientist at the center of the Climategate crimes against science steps down! Phil Jones, Michael Mann, et. al. put the “manN made” into global warming climate change. “Britain’s University of East Anglia says the director of its prestigious [not so much anymore] Climatic Research Unit is stepping down pending an investigation into allegations that he overstated the case for man-made climate change. A summary of the crimes of the alleged scientists Phil Jones, Mann, et. al. Scientists who had been suppressed by the Climategate cabal (Jones, Mann, et. al. including Gore) are now beginning to speak out and make known the transgressions done to them and how their papers and work were suppressed. Alleged scientist Phil Jones has stepped down and is being investigated. It is now once again safe for scientists to express criticism of the rigid and alarmist view of mann-made global warming climate change impending doom. Legal authorities are beginning to take notice that there might be something to this Climategate after all. Christopher is on the war path. 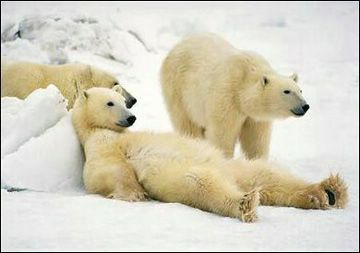 Three men assaulted by goons under orders from Al Gore. Does Al Gore still think he has sovereign powers as an ex-president? Where does Al Gore get off illegally forcibly assaulting people who ask him questions he doesn’t like? I know of nothing in the US Constitution that would permit a private citizen to use force as was done here multiple times. The evidence shows that Al Gore considers questions on Climategate and AGW from non-violent people to be an imminent security threat as he orders his (secret service?) security detail to forcibly remove three people who ask inconvenient questions Mr Gore doesn’t like. 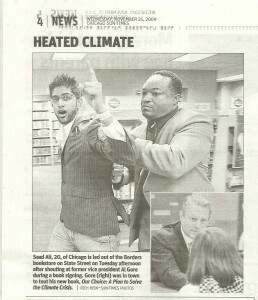 “CHICAGO IL – On Tuesday, November 24th 2009, We Are Change Chicago attended a book signing with former vice president Al Gore, at the Borders Bookstore on 150 N. State Street. This of course isn’t the first time that Al Gore has used intimidation and assault to stifle free debate and free speech of his critics as these following videos testify to. Part Seven of this acclaimed documentary is highly relevant to the Climategate. In this case of AGW the precautionary principle will cause more harm than good especially to people in developing countries who need the energy the most to survive. A real application of the precautionary principle is to ensure that the claims of Human Caused Global Warming Climate Change are put through the toughest criticisms possible in science and that the conclusions are verifiable though a rigorous and OPEN process. Two amazing videos and an excellent and clear paper that disprove the AGWH (anthropogenic global warming hypothesis). 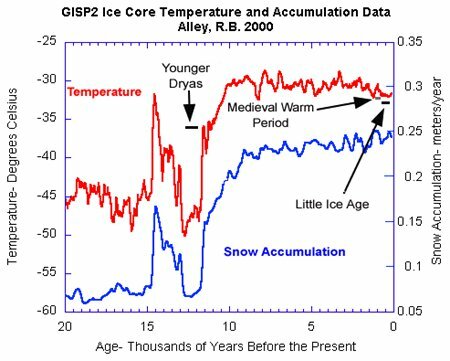 “in the period of ~4,000 years ago to ~2,000 years ago, which is actually the Roman Age, ice core temperatures had been decreasing by 2.5c degrees… then temperatures increased to the mideveal warm period ~1,000 years ago. Then temperatures declined till around 1750 AD and came back up in the 18th century and then around 1875 we have the coldest point in the last 8,000 years.” – Jorgen Peder Steffensen, curator, Niels Bohr Institute, Department of Geophysics. Steffensen is involved in ice core research. All before man made C02 emissions occurred. The coldest point in the last 8,000 years was ~140 years ago! WOW! As you can see in the graph we’re potentially just emerging from this period. Even the worst predictions of increases in warming won’t bring us back to the highest temperatures in the last eight thousand years for a very long time. Well worth reading is this excellent paper Disproving AWG. 1. The average Earth’s temperature will increase at a rate of 0.20C to 0.60C per decade at least to 2100, and will continue to climb after that if the CO2 continues to be produced by human activity at current predicted rates. 2. The increasing temperature will cause increased water evaporation, which is the cause for the positive feedback needed to reach the high temperatures. 3. The temperature at lower latitudes (especially tropical regions) will increase more in the lower Troposphere at moderate altitudes than near the surface. 4. The greatest near surface temperature increases will occur at the higher latitudes. 5. The increasing temperature at higher latitudes will cause significant Antarctic and Greenland ice melt. These combined with ocean expansion due to warming will cause significant ocean rise and flooding. 6. 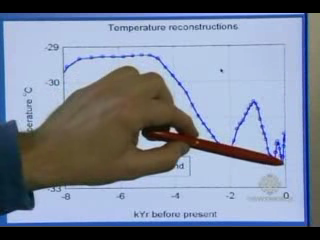 A temperature drop in the lower Stratosphere will accompany the temperature increase near the surface. The shape of the trend down in the Stratosphere should be close to a mirror reflection of the near surface trend up. The final question that arises is what prediction has the AGW made that has been demonstrated, and that strongly supports the theory. It appears that there is NO real supporting evidence and much disagreeing evidence for the AGW theory as proposed. That is not to say there is no effect from Human activity. Clearly human pollution (not greenhouse gases) is a problem. There is also almost surely some contribution to the present temperature from the increase in CO2 and CH4, but it seems to be small and not a driver of future climate. 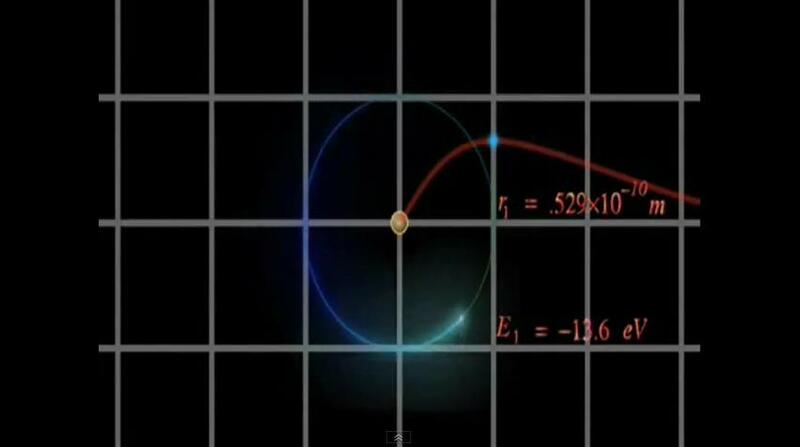 Any reasonable scientific analysis must conclude the basic theory wrong!! How close to industructable can you get? You’ve got to be kidding. This has everything to do with climate! WOW! The area is being drenched with snow! Edmonton is set to welcome a 20 cm dump of snow today – just weeks before the official start of summer. Environment Canada issued a snowfall warning for the region yesterday, still in effect today, stating the city will likely be blanketed with the white stuff by this afternoon. The forecasted high is 5 C.
About 4.5 cm of the snow landed in the Edmonton area yesterday, forcing unhappy campers to storm from a RV park in droves and keeping sun worshippers indoors. The mercury remained in the low single digits. CO2 sends us to our destruction? Not on Earth! You’re being irresponsible shouting wolf or fire when there is nothing to see. Move along already. Clearly the evidence for C02 as a poison and agent of global warming has been utterly debunked by now: here at Watts Up With That dot com on a daily basis and the goring the science fiction spun by Gore and the ice age and making sense of data here [wordpress.com] and the spinning alarmists and generally Paths To Knowledge dot Net climate science category. Most importantly don’t forget Unsetteling Foundations of Climate Science by Dr. Lindzen. Then there is Climate Audit dot org that regularly excoriates the so called climate science. C02 as THE cause of Global Warming is nothing more than a lame correlation, there are a number of other correlations that are much better. Also C02 levels can be much higher without harm as it was in the many millions of years of Earth’s history when the levels where 10 times higher than now!!! Life lived and evolved just fine under ~4,000 ppm of C02 in the atmosphere. And if you think that the science is settled then you are NOT a scientist and you DO NOT support the scientific method or the process of science education where people who are ignorant of the science ask questions to learn: see Richard Feynman on Scientific Investigation here. Besides almost all Canadians that I ask want it to be 5c to 10c warmer up here as that will open up the Northern areas, which are a plenty, for development and farming opportunities! We’re tired of 90% of us living within 200 miles of the USA border! We’re tired of our igloos, we want actual homes!